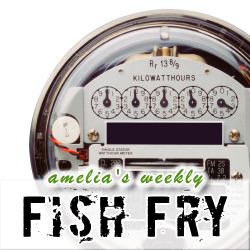 In my Fish Fry this week, I try to unravel the “aloha” of electronic engineering terminology; what we can do to make more power, use less power, and how we can measure exactly how much power our design is using – or is going to use. In this “power” themed episode, I investigate Microsemi’s new solar energy announcement, look into a cool new way to create wave energy and offer up some ideas on how we can use less energy in system designs. I also check out a new tool that will help you understand the the power budget of your next design and reflect upon a very old technology being re-born in today’s modern shipping technology.